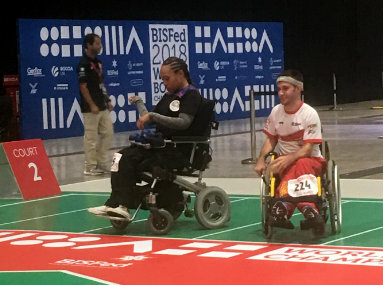 Only One of the Three Bermuda athletes was back in action competing in the BISFed 2018 World Boccia Championships. Yushae DeSilva-Andrade, Steve Wilson and Omar Hayward all represented Bermuda at the Exhibition Centre in Liverpool, England. DeSilva-Andrade was the only Bermuda player in action and she was edged 3 – 2 by Nelson Fernandes from Portugal.